The Samsung DX range of digital telephone systems have all the benefits of larger, more expensive digital telephone systems, but with the small to medium customer in mind. Larger businesses have benefited from digital telephone systems for some time now, and now with the Samsung DX digital telephone system, small business can enjoy the same advantages without paying a premium price. 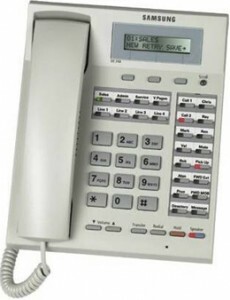 Samsung telephone systems have been extremely successful in Australia with more than 70,000 systems installed. Samsung are committed to continuing this success by investing heavily in research and development to ensure its products are technology leaders together with a strategic focus on quality. All Samsung products are manufactured under a stringent quality management system, which is ISO 9000 accredited. The result is the Samsung DX – a feature packed, quality product designed for Australian conditions.